A.L.M. Consulting Engineers has provided mechanical engineering services for a variety of manufacturing facilities. Most manufacturing facilities have their own special requirements specific to the company’s unique needs. This requires a mechanical engineering firm with creativity and a strong engineering background. A.L.M. Consulting Engineers has accomplished the challenges presented to them in the past and will continue to meet the needs of the manufacturing industry presented to them in the future. This 10,000 ft2 project consists of manufacturing work space and a Burn-In Room. A.L.M. 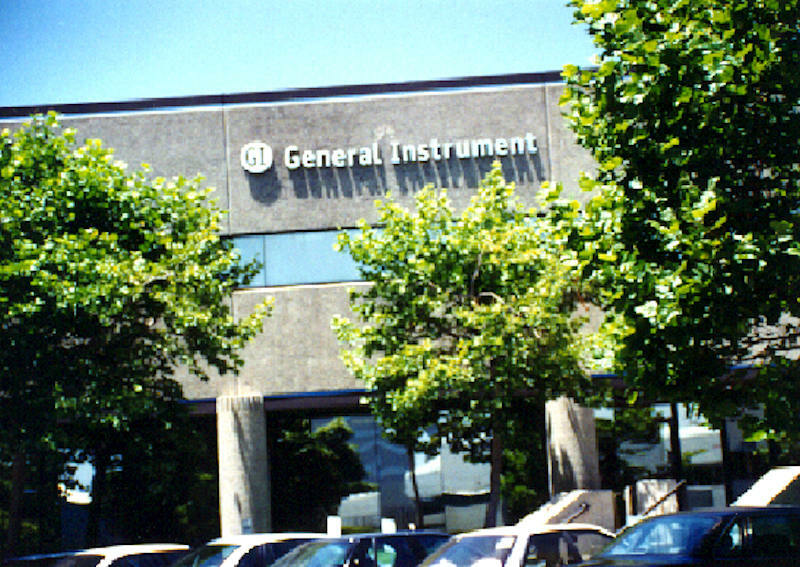 Consulting Engineers engineered a Burn-In Room heating system that would maintain a room temperature of 150°F to meet General Instrument’s manufacturing needs. A.L.M. 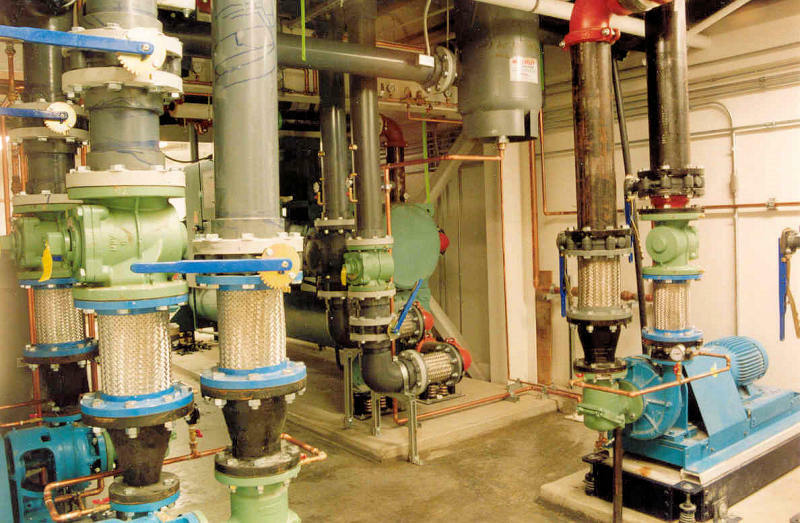 Consulting Engineers also engineered plumbing and comfort heating and cooling systems for the other project manufacturing areas, which maintain temperatures between 70°F – 75°F. This facility is approximately 20,000 ft2 and consists of approximately 3,000 ft2 of office area and 17,000 ft2 of manufacturing area. A.L.M. Consulting Engineer engineered a condenser water system for their Test Press which consisted of a cooling water tower, expansion tank, air separator, condenser water pump and a sophisticated control system to interface with the Test Press. A.L.M. Consulting Engineers also engineered a compressed air system to be used throughout the manufacturing facility, exhaust systems for their primer/adhesive applications and vapor degreaser. 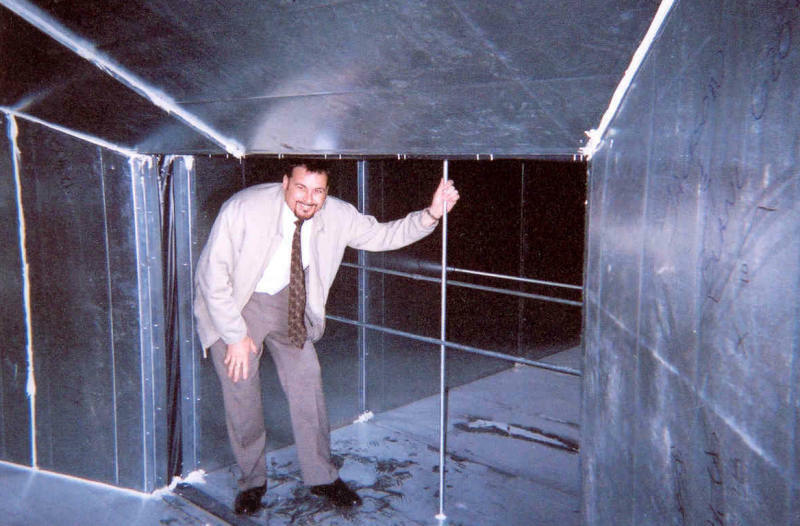 The primer/adhesive exhaust fan was 27,500 CFM with a filtration system and make-up air. The vapor degreaser exhaust system consists of a canopy exhaust hood and a 4,800 CFM exhaust fan and make-up air. A.L.M. Consulting Engineers engineered a 210 ton water cooled chiller system, 3,000,000 BTU heating hot water system and 1,500 GPM cooling tower water system. 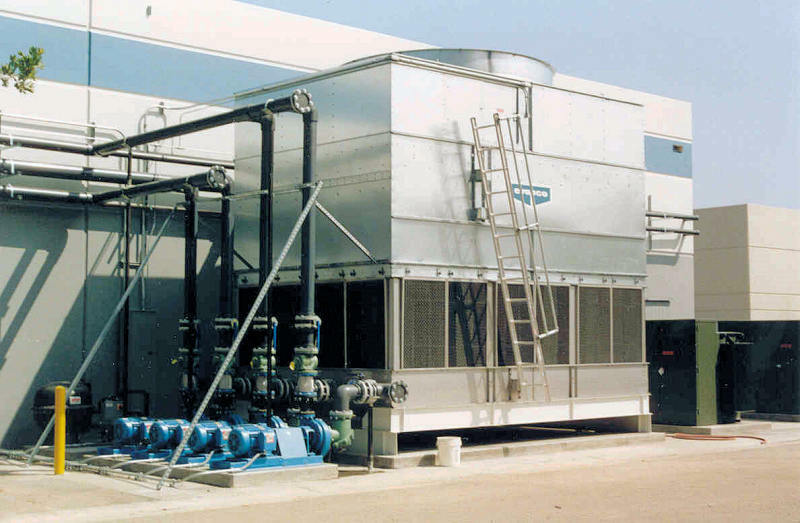 The cooling tower system is used to serve a condenser for the chiller and a process water system. Several heat exchangers were also incorporated into this system. A.L.M. Consulting Engineers also engineered the plumbing systems for this facility which consists of processed water piping, compressed air, nitrogen, gas, domestic water, sanitary sewer, sump pumps and an oil interceptor system. This facility is approximately 72,000 ft2. They have 6,200 ft2 of office space served by direct expansion heating and cooling systems. A.L.M. Consulting Engineers designed exhaust systems to meet the manufacturing needs for the remaining 66,000 ft2 manufacturing facility. This is a 10,000 ft2 manufacturing facility. 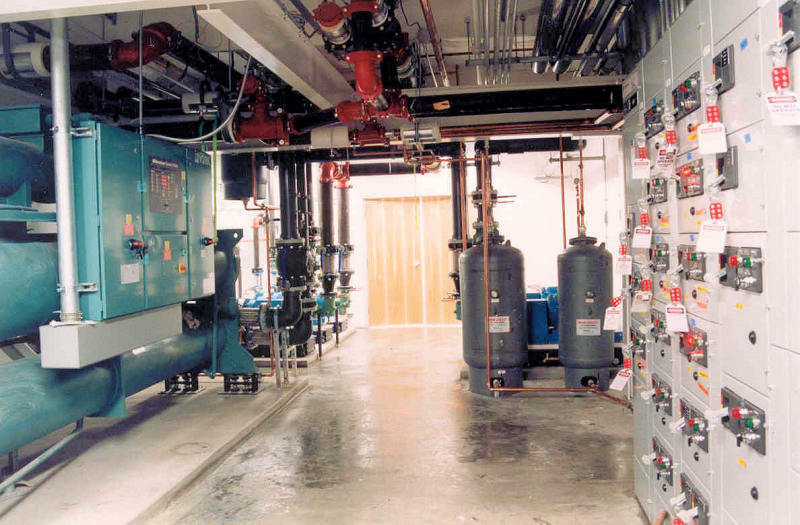 The facility is a mechanically heated and cooled by six rooftop package heat pumps. 164,616 ft2 manufacturing plant. Building 1 (22,565 ft2), Building 2 (38,367 ft2), Building 5 (22,155 ft2), Building 6 (50,529 ft2), and Building 6 (50,529 ft2). A.L.M. Consulting Engineers provided a study and consultation for this project which required over 200 hours of engineering services. 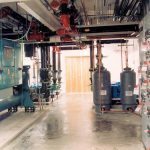 The engineering services included on-site field investigations, heating and cooling load calculations, energy studies and preliminary HVAC equipment selections for two hot and chilled water central plants. A.L.M. Consulting Engineers, Inc. is a professional, full-service mechanical engineering firm. We specialize in designing energy-efficient heating, ventilation, air conditioning and plumbing systems, as well as Title 24 compliance. Our goal is to specify and design the most practical and cost effective systems for your unique project. Copyright © 2018 A.L.M. Consulting Engineers, Inc.